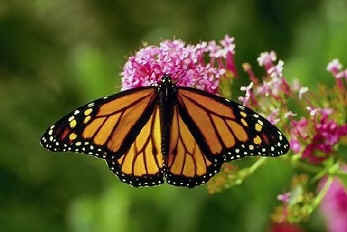 I have had the privilege of having monarch butterflies make their home in our garden. They are now in the caterpillar stage(dozens of them) and they are growing bigger every day. In this stage they MUST have the milkweed plant to survive. So all you gardeners need to plant milkweed. 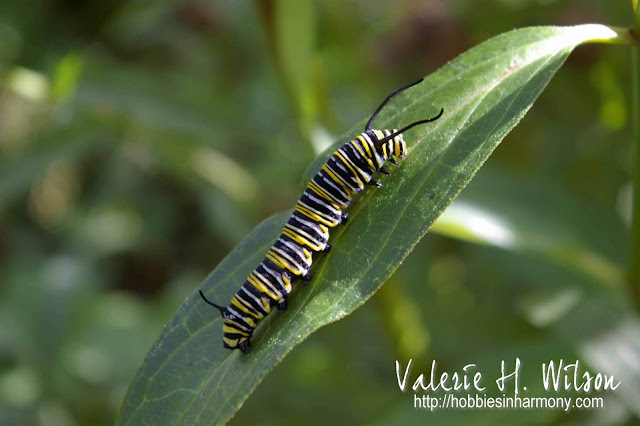 Val's note: Since receiving Donna's note, I have checked the milkweed out front, and I count about 20 or so caterpillars on my two plants. I'm sure there are not enough leaves to support them all - they eat so fast!! I'm going to experiment with netting the plants against predators as last year they all disappeared before transforming into butterflies! Good luck to anyone else who has these amazing creatures in their yard!